We are just over two weeks away from the Cheltenham Festival and Steve Ryder highlights the performances of five horses who could be worth backing at Presbury Park in March. 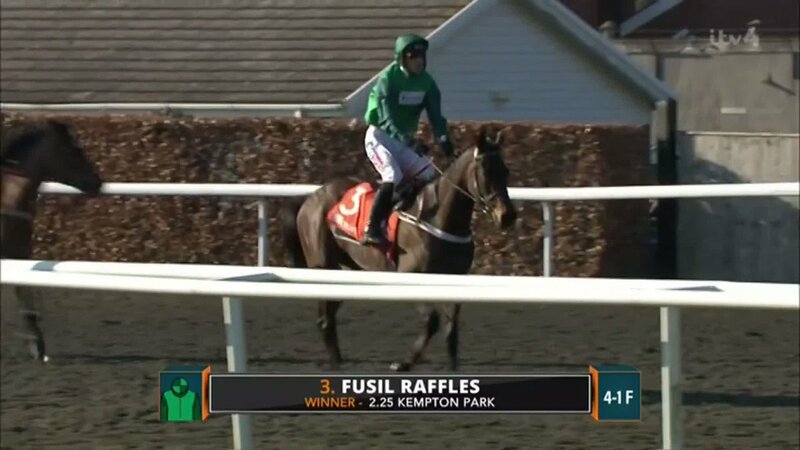 Fusil Raffles won the Grade 2 Adonis Juvenile Hurdle on his first start in the UK for Nicky Henderson having raced twice over obstacles in France. He travelled well throughout the race before taking up the running after 2 out and eased to a nine length victory at the finish. Fusil Raffles is now top of the UK juveniles following this victory over his eleven rivals but connections now face an anxious wait to see if he will recover from a nasty cut in time to run in the Triumph Hurdle for which he is now a best priced 8/1. Dickie Diver arrived at the Nicky Henderson yard with a tall reputation having been bought by JP McManus in the January Doncaster Sales for £210k following a twenty length victory in a PTP. He finished second on his debut for new connections at Chepstow when beaten only a head by subsequent Grade 2 winner Lisnagar Oscar but went one better on Saturday over the same C&D. Dickie Diver won as a 30/100 favourite should and further enhanced his claims for the Albert Bartlett for which he is a general 10/1 shot now. If The Cap Fits has an impressive career record of 6 wins from 10 races so far despite never running at what I believe is his best trip. He had the pace to win two bumpers and has run well in 2 mile Graded hurdles but he appears to want a step up in trip which was further highlighted when he won the Grade 2 Coral Hurdle over 2m3f at Ascot in November despite being pushed along from three hurdles out until the finish. 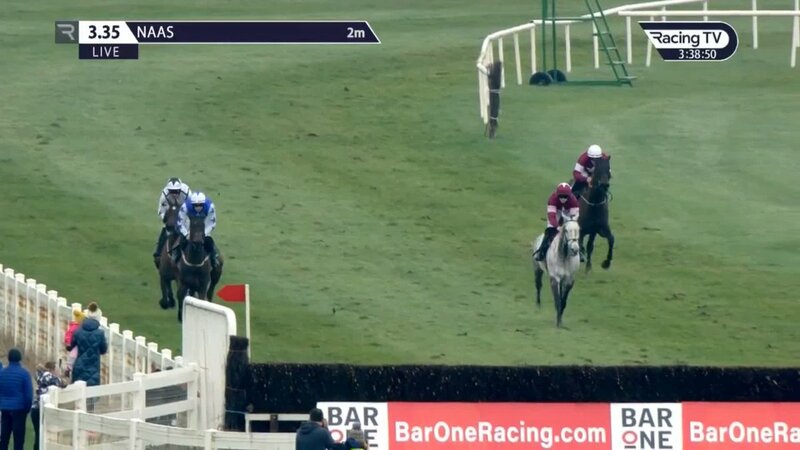 The Grade 2 National Spirit Hurdle was run over the same distance of 2m3f where If The Cap Fits was pushed along for the majority of the race once again. He just failed to catch Vision Des Flos but if stepped up to 3 miles for the Stayers Hurdle at Cheltenham he could get involved at the finish. He is owned by the Rooney’s so currently would have to be supplemented for the race as they took all of their horses out of the Cheltenham Festival but have since reversed that decision so keep an eye out at the supplementary stage. The St James’s Place Foxhunter Challenge Cup Open Hunters’ Chase at Cheltenham this season is looking to be a strong renewal with the likes of Stand Up And Fight, Ucello Conti, Hazel Hill and Road To Rome (highlighted in last weeks eye-catchers) all set to run. Shantou Flyer qualified for the race on Sunday at Fontwell with a dominant 35 length victory over Southfield Vic at 4:25. Shantou Flyer had fantastic Cheltenham form last year with placed efforts in Grade 3 handicaps off marks of 152 and 153 before finishing 2nd in the Ultima Handicap Chase at the festival off a mark of 152. He is currently 10/1 for the Foxhunter Chase at Cheltenham this season and could provide owner-rider David Maxwell with a winner on Gold Cup day. Cadmium was dropped back in trip down to 2 miles on Sunday in the Grade 3 WhatOddsPaddy Chase but ran on well to record a three length victory over Doctor Phoenix at the finish. He was rated 147 going into that race so his mark for the Grand Annual should be in the low-mid 150s and he looks to hold strong claims at 16/1 for the race. The Grand Annual is the only entry for Cadmium at the Cheltenham Festival this season and as long as the handicapper doesn’t go mad then this progressive seven year old could go well.